Who’s new? Holly and Jane join our team…. Welcome to a couple of new faces to our FutureBeef family! Holly grew up on the family property, north west of Hughenden, before attending boarding school in Townsville. After completing school Holly took a gap year and worked at home and on other properties around Hughenden. Holly then enrolled in an Agribusiness and Applied Science (Animal Production Major) degree at the University of Queensland. As part of Holly’s work placement experience she worked in the live export industry including inspecting cattle and loading ships – a highlight of her degree! After graduating in 2014, Holly gained experience in financial and productivity analysis for grazing operations with Suncorp. After leaving Suncorp Holly returned to work on the family property at Woodstock, near Townsville, as well as contract mustering in the area. 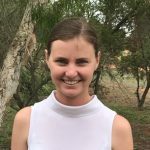 Holly recently joined the FutureBeef team as an Agricultural Economist based at Charters Towers. You can contact Holly by telephoning 07 4761 5156 or email holly.reid@daf.qld.gov.au. After growing up on a mixed farming (beef, wool and fat lambs) property in south eastern Victoria Jane studied at the University of Queensland, specialising in Rangeland Management. During her university studies Jane did practical work in the Gulf (Georgetown) and industry placement at Charters Towers being the first student placement to work on the Wambiana Grazing Trial. Since graduating, Jane has been fortunate to experience many roles within the Queensland grazing industry, predominately in the north. 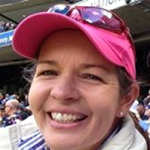 She initially supported industry through extension and community engagement and later became a partner in a breeding operation in North Queensland. Recently Jane spent time in the Northern Territory with the Alice Springs Department of Primary Industry and Resources team working on the Business Management Advisory Project as a part of Indigenous Pastoral Program, and the Quality Graze Producer Steer Challenge.